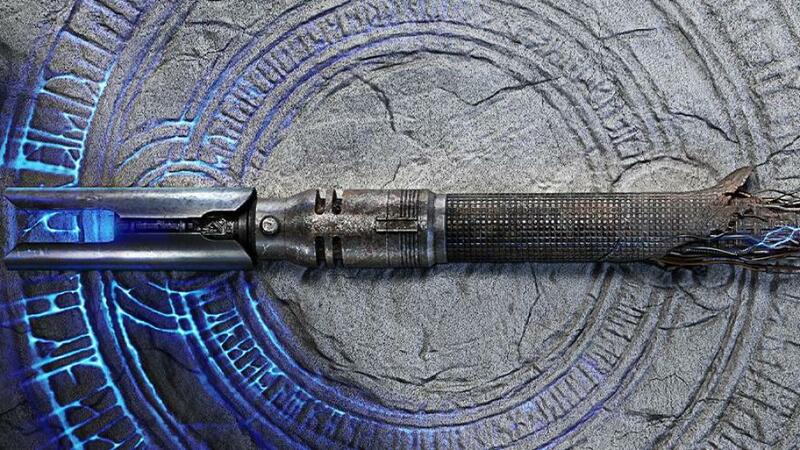 As we inch closer to the official reveal of Star Wars Jedi: Fallen Order during this weekend’s Star Wars Celebration, more nuggets of info have been popping up. The official website got a new logo, while Respawn and EA are gearing up for what will hopefully be a substantial reveal on April 13th. However, some art seems to have leaked early, thanks to a T-shirt listing on Amazon. The listing has since been taken down (hopefully proving its validity), but not before Twitter user, Wario64 got a screenshot, which you can see below. There is a lot one can deduce from this image, especially when considering the gigantic crashed Starship in the background. Star Wars Jedi: Fallen Order is supposed to be a single-player experience, as opposed to EA’s previous Battlefront titles. We also know that this is an original story, taking place after Revenge of the Sith. Per the IGN article, EA has not responded to comment about the validity of the art, but it stands to reason that it’s probably legitimate and that we will almost surely find out more soon. It will be interesting to see how Jedi Fallen Order is perceived since the general reaction to Battlefront has not been great. Fans have been clamoring for a single-player Star Wars game for years, so we’ve got our fingers crossed that Respawn and EA will deliver. Although, as always, it’s important to keep expectations in check, since it’s very easy to get over-hyped and disappointed. We’ll find out more this weekend at Star Wars Celebration, so check back then for more coverage.